Composer, pianist, musicologist, librettist, pedagogue, born in 1973 in Brno into the family of Miloš Štědroň, a Brno-based musicologist and composer. He studied at Brno's Conservatory (subjects: piano – V. Šeffl and composition – J. Bárta), and the Janáček Academy of Music and Performing Arts (1994–1999, composition – A. Parsch). Concurrently, he studied musicology at the Faculty of Arts of Masaryk University in Brno, graduating in 2001. In 1999 he moved to Prague, where at the Prague Conservatory he teaches composition and music theory. In June 2009 he received Ph.D. in composition at the Faculty of Music of the Academy of Performing Arts in Prague. He is married, and has two daughters. As a composer, he focuses on music from a host of genres. He has created more than 100 opuses. The range of his compositions is wide, he has written chamber and orchestral works, musical monologues, as well as pieces for theatre including two operas, musicals, and cabarets. He has a special penchant for working with vocals and various types of percussion, which he uses copiously in his compositions. His works were performed all over the world, above all on international music and theatre festivals. Primarily he is famous for his author projects – music theatre pieces with own music and own text – in which he is focusing on great personalities of Czech history and culture (Ivan Blatný Cabaret, Hašek Cabaret, Western-Musical Tony D. on Antonín Dvořák, Gočár Theatre on the architect Josef Gočár or Velvet Havel on the former Czech president Václav Havel). These pieces are being performed at the foremost Czech Theatres and have been many times awarded. His first opera Lidská tragikomedie (Human Tragicomedy) on his own libretto, inspired by the writer/philosopher Ladislav Klíma, was staged in March 2003 at the National Theatre/The Estates Theatre Prague. His second opera Don Hrabal on own libretto was premiered in December 2017 at the National Theatre/New Stage in Prague. 2008 he composed a musical Štěstí dam (Happiness of Ladies), performed at the Theatre DISK in Prague and then in 2009–11 in Pestiszínház in Budapest. Since 1994 he has regularly created stage music for different theatres – he has written stage music for Prague's National Theatre, Divadlo Na zábradlí, Divadlo Husa na provázku, Studio Dialog, A studio Rubín, the Mladá Boleslav Municipal Theatre, Divadlo Komedie, the DISK theatre, the Zlín Municipal Theatre, etc. One of the most performed is music to the successful play Mikveh by the famous Israel writer Hadar Galron (since 2008 has been performed at the National Theatre Prague, since 2009 at the City Theatre in Budapest). 2009 he created music to the performance about Mother Teresa, where the main character is sung by a countertenor. In 1996 he received an honourable mention in the composers' competition GENERACE, in 2004 an honourable mention in the Leoš Janáček Composers' Composition in Brno. 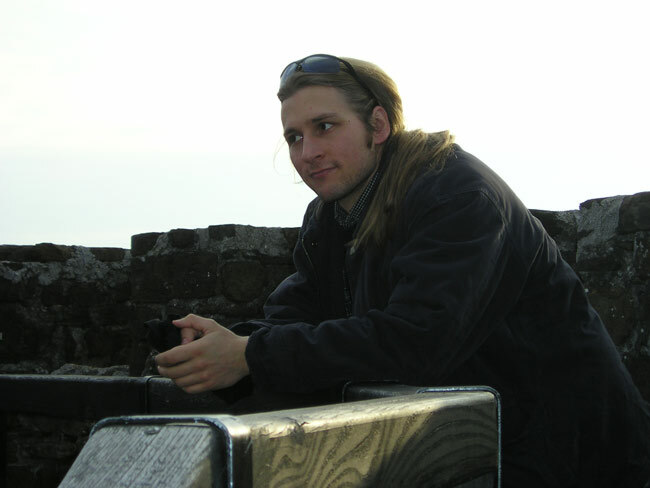 In the international competition of radio recordings Rostrum tribune Paris 2006 he won an award for his composition for the male vocal quartet PASEJAMá. He was twice nominated for the Alfred Radok Award for the best stage music 2007 for Ivan Blatný Cabaret and 2010 for Lamento/Mother Theresa. For his Gočár Theatre he was awarded with the Alfréd Radok for the best music 2012 and with the Theatre Papers Award for the best musical theatre piece 2012/2013. His play Velvet Havel (with own text and music) was awarded in 2014 with the most prestigious Czech theatre award – the Theatre Critics Award in 5 categories (including the best music and best play). As a pianist and improviser, he has a passion for making peculiar creations, primarily when accompanying silent films (Festival Stummfest.cz in Prague 2006, 2007, Cinegoga 2010), performing either on his own or with a band. He is also a sought-after music arranger. He has arranged a host of famous melodies for various casts (Gershwin, Kander, songs of Edith Piaf, etc.). In addition to composing and practical musical activity, he also occasionally devotes to music reviewing and writing. For the publishing houses Bärenreiter Praha, Editio Janáček and Supraphon he has edited several works, primarily those of Janáček.